Dairy can play a ‘key role’ in feeding the world and needs to respond forcefully to anything challenging its integrity, according to Dr Judith Bryans, president of the International Dairy Federation (IDF). 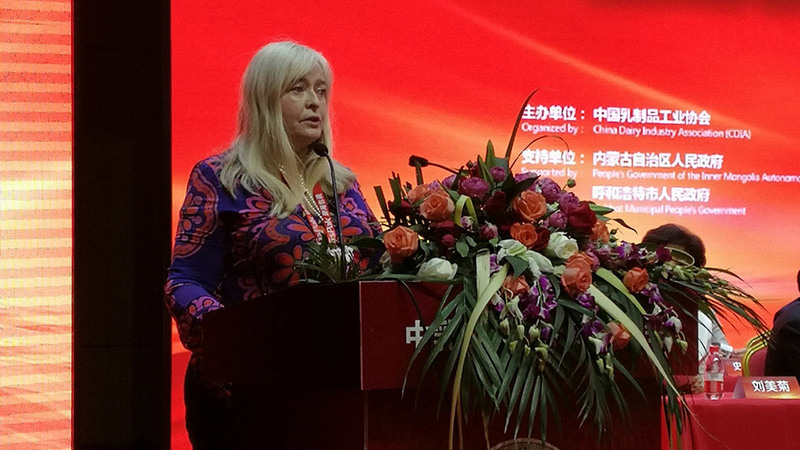 A growing population and rising prosperity have boosted dairy demand and Dr Bryans told the China Dairy Industry Association annual conference there were now opportunities to be seized. Following increased campaigns from vegan and anti-dairy groups challenging the nutritional and environmental credentials of dairy, Dr Bryans called on the industry to be innovative and ensure its products were relevant to the lives of consumers. “We must never get complacent and forget to tell consumers why we are important to them and the world,” she added. Dr Bryans said the United Nations Sustainable Development Goals made clear dairy was ‘part of the solution’ to achieve goals surrounding nutrition, lifting people out of poverty and hunger and a healthy planet. “Dairy has long been recognised as providing high quality nutrition but the sector is now being attacked on this by anti-dairy groups and plant based alternatives. Our environmental credentials are also being questioned." She added it was essential for the sector to put forward its case dairy products should be an integral part of meeting those goals ‘at every opportunity’. She added world dairy markets were currently optimistic but the industry needed to continue to develop ‘a range of tools’ to help dairy farmers through more difficult periods.